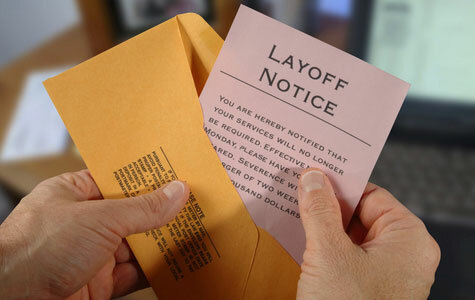 This past week, Oklahoma City faced one of its largest layoffs in years. There’s a pretty good chance that if you live in the Oklahoma City community and weren’t directly affected by the layoffs, you probably are close to someone who was. Layoffs are obviously tough for the employees who were let go, but they’re also difficult for those of us who find ourselves not knowing what to say. For those of us who find ourselves in the position of offering up words of comfort or encouragement to our friend, we either end up putting our foot in our mouth, or we avoid them all together because we don’t know what to say. 1. Start with acknowledging the elephant in the living room. Say something like, ‘I’m really sorry this happened to you, if there is anything I can do for you, please let me know.’ If you are a coworker who was lucky enough to retain your job, sometimes you end up suffering from ‘survivors guilt’ and end up giving your former coworker the cold shoulder inadvertently. Reach out, and say something. Don’t avoid them all together now, or when you do run into them down the road, it’s going to be even more awkward. 1a. Send them a handwritten note. If you’re feeling uncomfortable calling them, pull out a pen a drop them a good old fashioned note. Think about the brightness it will bring to the stack of bills they are trying to figure out how they’re going to pay. In the note, express you sentiments and tell them you would love to take them to lunch or coffee in the next couple of weeks. That will open the door for you to reach out to them in the next few days to set a date. Then follow through with it, and don’t forget to pick up the tab! 2. Don’t try and fix it for them! We have wonderful intentions with wanting to jump in with great advice and give them suggestions of where to look, what to do with their resume, who to contact, and the list goes on. They’re not ready to hear that yet – they need some time. Again, they’re not ready to hear those statements yet. It’s nice to try and bring some levity to the situation and offer some optimism, but your good humor may come off as being insensitive. 4. Stick around – quietly. If you aren’t sure what to say, just say nothing and ‘be there’ for him or her. What your friend really needs is to talk it out with someone who will just listen. They may even need a hug and look of understanding and validation. 5. Give them some time and THEN offer to help. After the shock has subsided, they’ve had a chance to process everything, and you see them starting to come around. Then you can offer to help make introductions, assist with brainstorming or strategy, and help get them back on the path to looking for a new job. You may be able to help them identify talents and assets they don’t even realize they posses and could end up planting the seeds for a whole new adventure they never would have been able to realize on their own. The most important thing is to stay connected to your friend, acknowledge the circumstances and how awful it must be, give then time to process the situation, and be there for them.